The UK government decided today that the annual ISA allowance (preferential tax treatment) will be increased from 11,520 to 15,000 GBP. The increased limit will apply to a single ISA, called the New Isa or NISA, which combines the current cash and stocks & shares wrappers. Under the new regime, individuals will be able to invest the whole amount in cash, compared to present rules where only half of the 11,520 GBP can be invested in cash and the rest in stocks and shares. 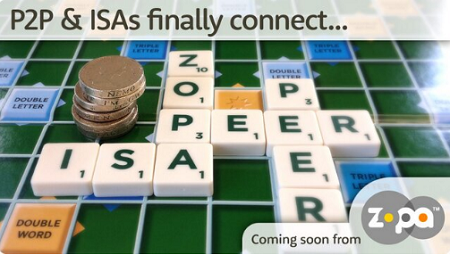 Current Isa savings will also enjoy the new flexibility. The increased limit will come into force on July 1st. In addition, the Government intends to allow p2p loans to be held within a NISA and will consult on how to implement this later this year. The Government will also explore extending NISA eligibility to debt securities offered via crowdfunding platforms. 1.167 Budget 2014 announces a radical reform of the ISA system. Around half of all UK adults have an ISA, and in order to give these savers greater choice in how they decide to save, the Budget announces that the ISA will be reformed into a New ISA (NISA), which will be a simpler product with equal limits for cash and stocks and shares. This will mean that for the first time ever, savers will be able to transfer previous years’ funds from stocks and shares ISAs into cash ISAs. From now on, savers will have complete flexibility over how they choose to save and invest, within the overall limit. 1.168 The government also wishes to allow people to save more tax-free, so they can see their savings grow year on year. The Budget announces that the annual investment limit for the NISA will be £15,000 a year . This nearly trebles the current limit of £5,760 a year for saving in cash ISAs, and will benefit more than 5 million people who currently reach their cash ISA limit, three-quarters of whom are basic rate taxpayers. It will also increase the stocks and shares limit by nearly a third, from £11,520, and means in total over 6 million people will benefit from the higher overall limit. The government will also raise the limits for Junior ISAs and Child Trust Funds from £3,720 to £4,000. These changes will be introduced from 1 July 2014. I understand that if I invest £15000 now , that will grow to 1 million in 18 years time . Can some one explain this to me . You will be a millionaire if you invest £15,000 every year, not just once.